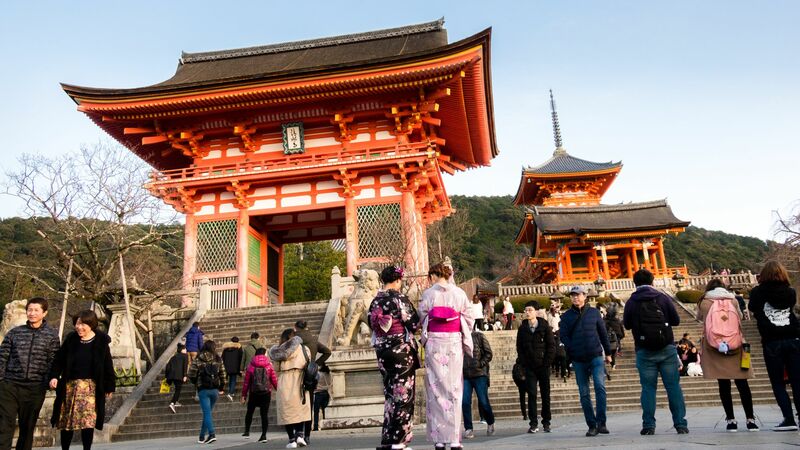 Kyoto, the epicentre of Japan's unique traditions and culture. Once the country's capital, is now its spiritual centre. 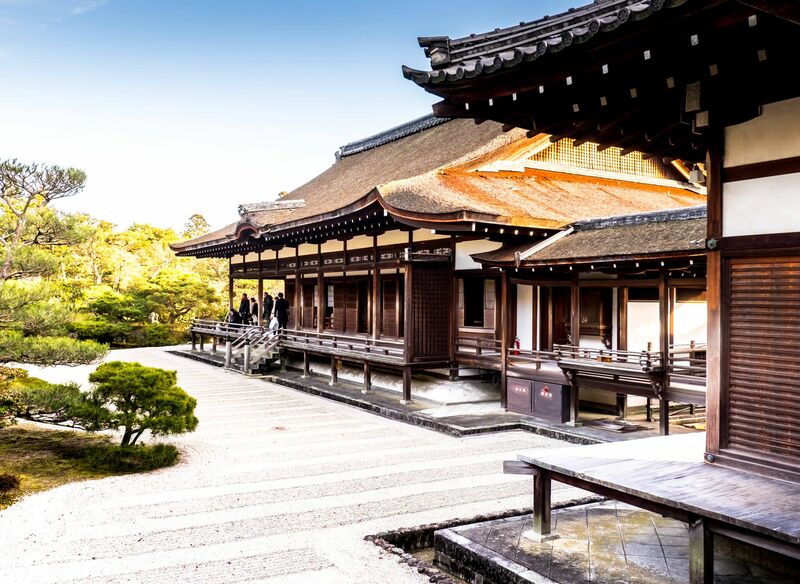 Experience Japanese tea ceremony, visit enormous Buddhist temples and see beautiful Shinto shrines. Spot elusive resident Geisha who go about their mysterious daily rituals and performances of dance, music and conversation - all done gracefully behind closed doors, by invitation only. 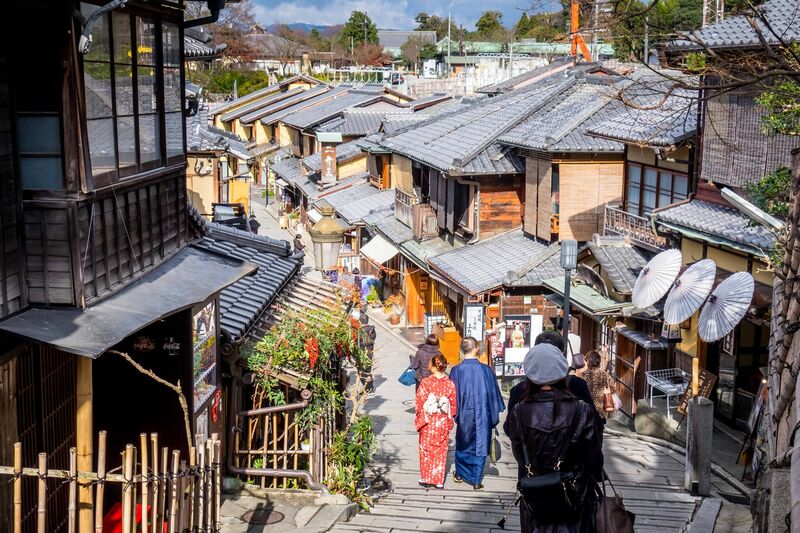 In the heart of Kyoto is the historic Gion district. 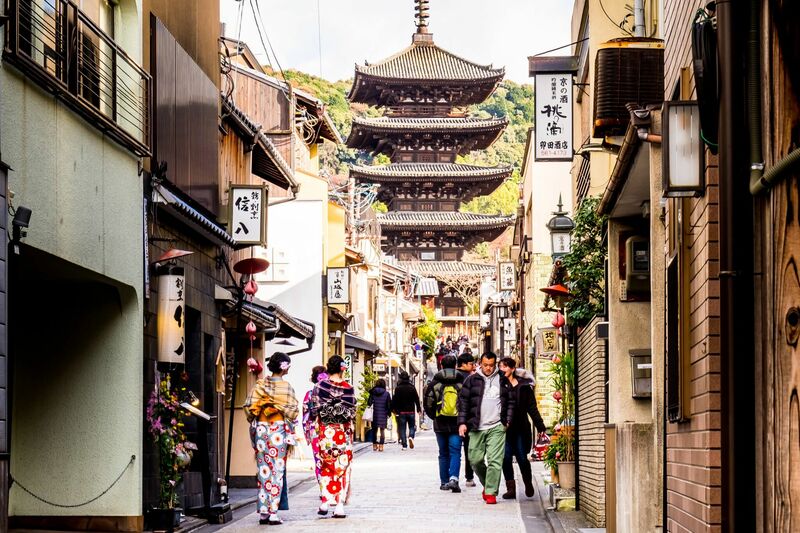 For hundreds of years, it is Kyoto's famed district of entertainment and geisha. 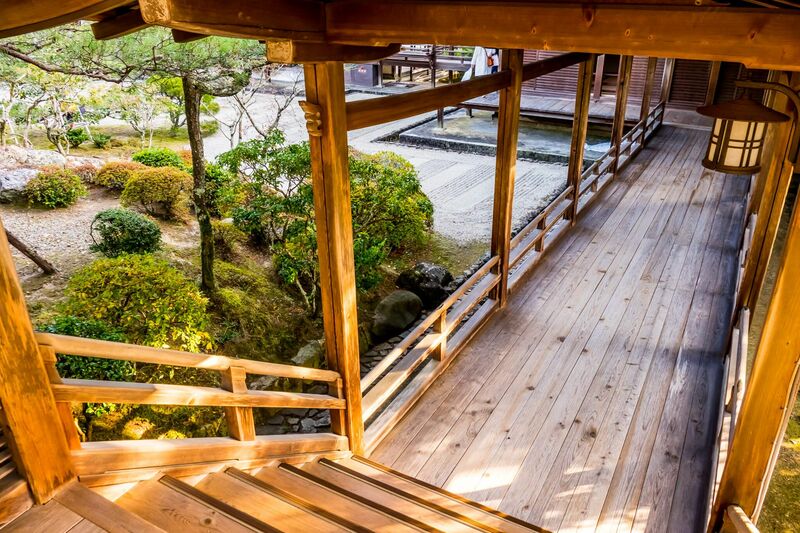 This is the place in Japan you will go to, to see and possibly meet an actual geisha - assuming of course, that you can afford the steep price required for an invitation. 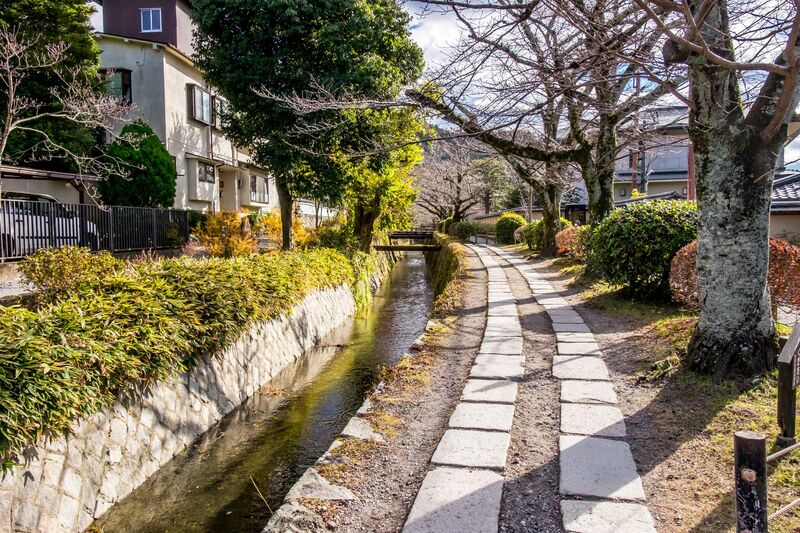 Along the streets here, are rows of historic wooden machiya teahouses. Hanamikoji-Dori is the place to dine at, but that is not cheap either. As the sun drops below the horizon, I feel my personal rite of cultural transformation slowly beginning as I mentally slip into a world of yesterdays. After a big warm delicious ramen meal, thoughts and visions of ultra-modern Japan start to fade into to colours and traditions of an ancient Japanese culture which has been practised and refined for over a millennial. I begin my new day fresh and early. Lady luck must be smiling for me as I left my quiet accomodation and stepped onto the streets of Gion. A scurry of feet and bright colours. Wow, a small group of young apprentice geisha, also known as maiko, were practicing their walk and gracefully floating down the streets of this old place. I can just only imagine how hard it must be to officially become a full geisha (geiko). It takes five (5) whole years of practice and mastery of their artistic performance(s) to make it to "geisha school" graduation. Until then, they get to receive zero income and live with their geisha house (okiya) with no access to the Internet, cell phones nor potential suitors (for dates). On this early winter's day, the beautiful colours of fall are glowing. 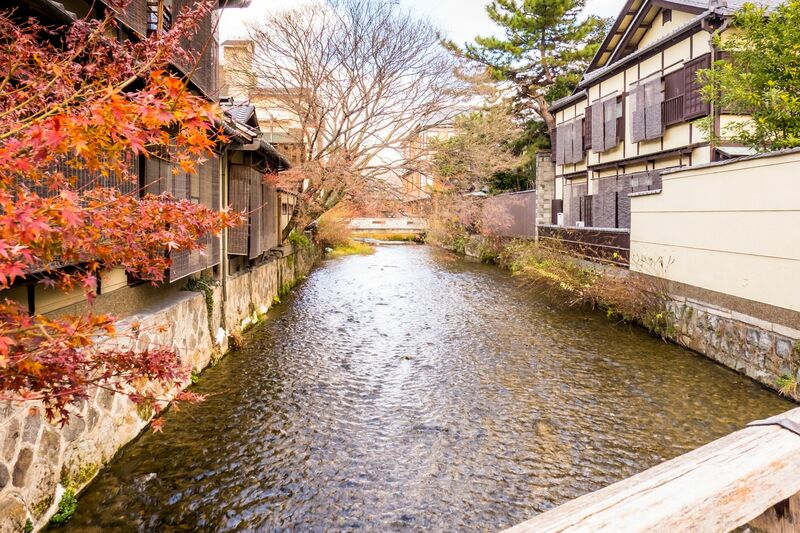 I cross the Gion Tatsumi Bridge over gentle streams to head over to Hokanji, a few streets down South East. Folks are starting to flow in to the spiritual grounds of the Hokanji temple. Many here seek Buddhist enlightenment. Others come to pose for photos with the picturesque five story pagoda which rises straight up towards the sky. It is still early in the day. The crowds are not here yet. Not far from there, I head on up the inclined Eastern end of the long Matsubara Dori. This street is fairly touristy here. There are plenty of shopping temptations here to stall even the most experienced of tourists. I stroll past these shops for now, there will be time for here later. Within minutes, I get to look in awe at a most celebrated shrine in all of Japan. Rising up before me, is the red Shinto gate to the Kiyomizudera - or "Pure Water" temple. Tourists here wander about dressed in rented yukatas (casual summer kimonos) and beautifully set hair. They are looking to nab that perfect Instagram shot. This is such a legit way to spend a good half a day on any holiday. Their Instagram's accounts will be overflowing with some serious likes in no time. 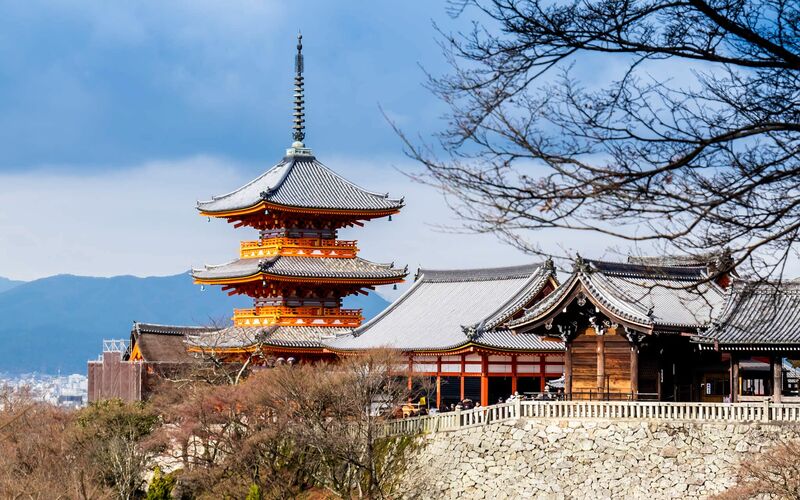 The main temple here is renowned for its large wooden platform which stands out from the hill side. Unfortunately, the platform was currently (Dec 2017) covered for renovations. I make do by saying "shoganai", picking up a couple of prosperity charms and catching a nice picture of the temple pagoda. At the base of the hill here is an orderly queue for the Otowa Waterfall. Drinking from one the 3 water streams here is said to grant an associated benefit to the drinker. Which stream should I drink from? Success, love or longevity? 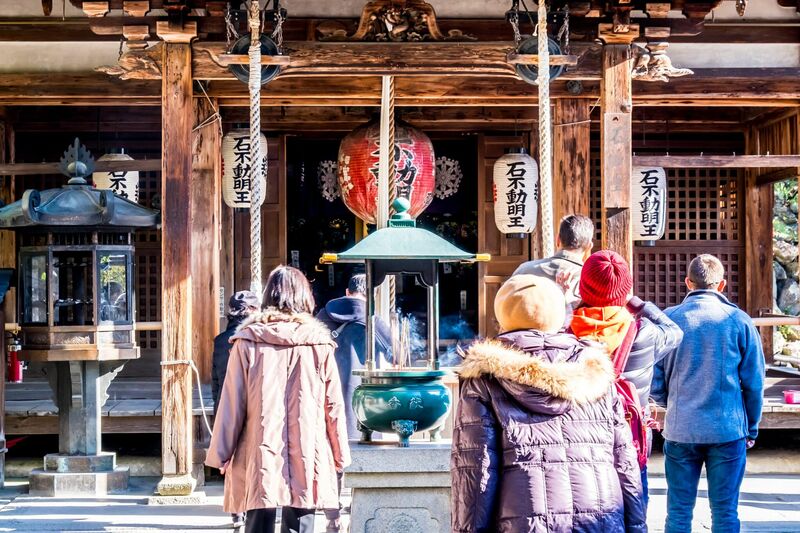 A hundred feet away from the entrance to the temple grounds and back to the bustling tourist street, folks shop for cultural knick knacks and chew on matcha ice cream. There are plenty of fine craftwork to see and buy here. A geisha model or miniature katana (sword) should make for a good wall trophy for visiting Japan, but I resist the urge to buy, for now. The master workmanship on some of the finer stuff here is incredible. My journey through the time warp continues as I head down charming Sanneizaka and later Nineizaka streets. There is even more to buy and taste here. Everything (the place) is so pretty here. I decide to pay my respects to the (some) 2 million fallen of the Pacific War. I enter the Ryozen Kannon war memorial. Sadly, in war, no side really wins. Here is a memorial hall in honour of the unknown soldier(s). 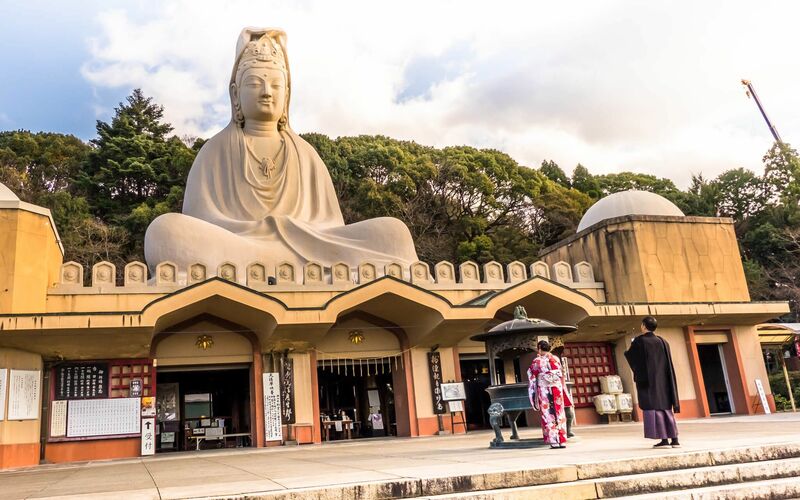 The colossal statue of the buddha watches over them. May they be granted everlasting peace. That night I gave myself a special treat. I visited the very affordable Gion Corner. Watching the enchanting Dance of the Maiko, amongst the other performances, was definitely the highlight of my forage into cultural Japan. 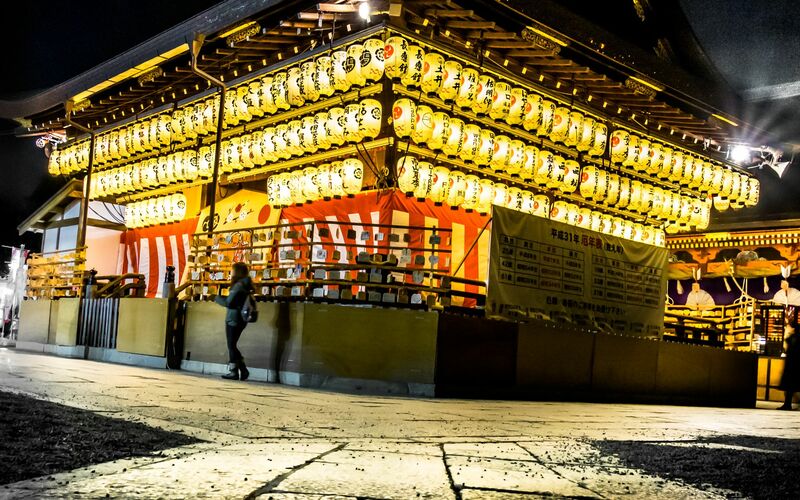 Nearby, the many lanterns of the Yasaka Shrine light up the night, along with plenty of nice shops along the long stretch of Shijo Dori. Over the next few of days .. I visited the Thousand Armed Kannon (deity/statue) in Sanjusangen-do (or Hall of the Lotus King). The view and number of statues/relics here is simply stunning. Unfortunately, there would be no photos to be taken here. I bought my Omikuji (fortune-telling paper) and it was good (else it be tied to the lines by the side of the temple, along with any bad luck and left behind). 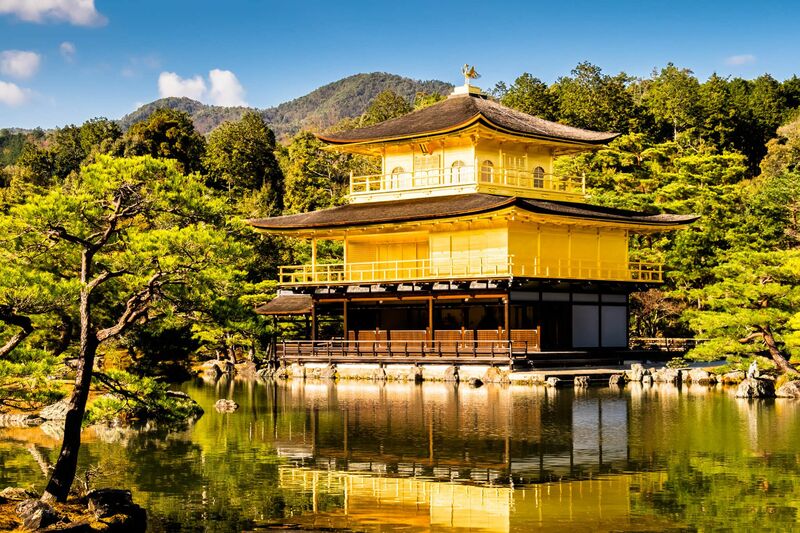 On the Northern side of town, the glistening Zen temple of Kinkaku-ji (Golden Pavilion) is dazzling. 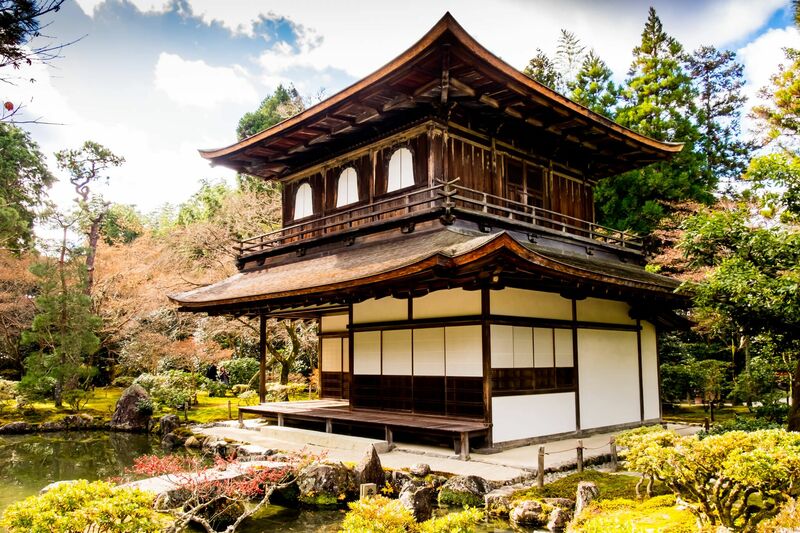 Like most things in Japan, it is said that this gold leaf covered temple sits exactly where it has always meant to be, on the edge of a large pond within a garden of serene natural beauty. Not too far away is Zen temple Ryoan-ji. I thought to mediate on the stones here. Being nowhere close to enlightenment, I could not see all 15 rocks (at once). Unflustered, I head on to Ninna-ji. 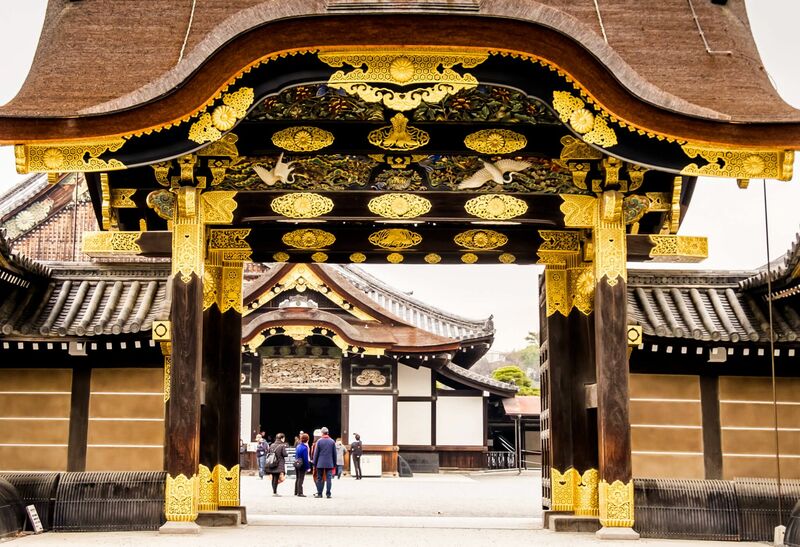 Walking with shoes off and treading softly on the wooden walkways, I saw what was the previous Omuro Imperial Palace. 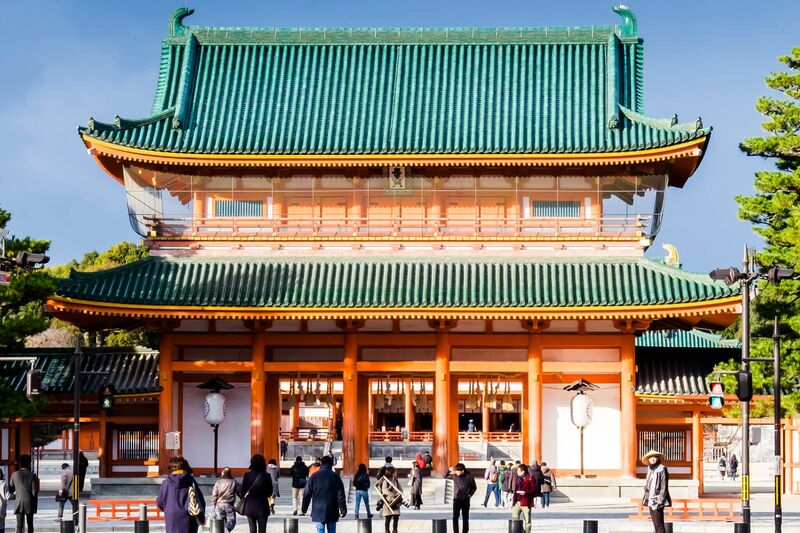 The Niomon (front) gate and five-storey pagoda here are also enormous sights to behold. 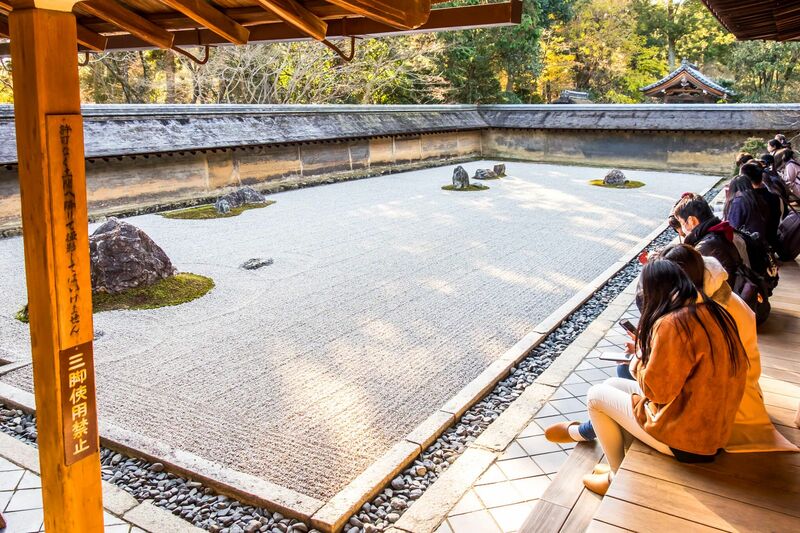 I visited the (Golden) Kinkakuji's sibling Zen temple, the Silver Pavilion or Ginkaku-ji. I reflected on life walking the Philosopher's Path. 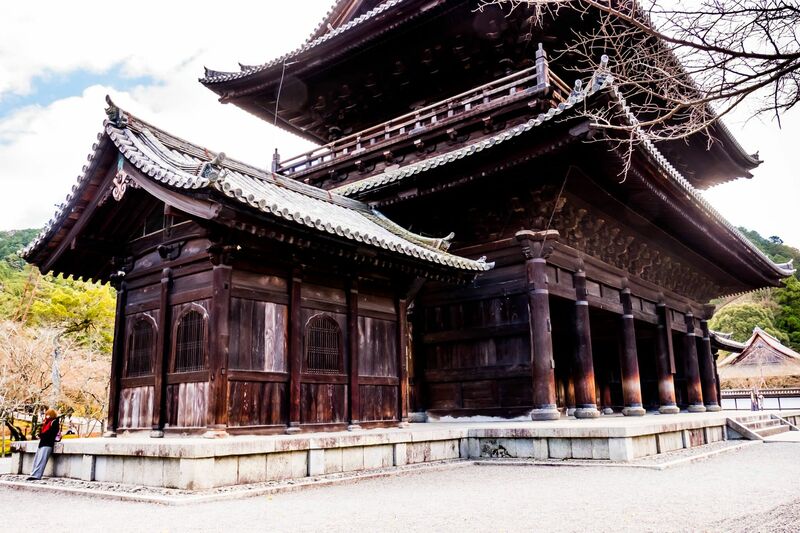 I climbed the huge gate of the Nanzen-ji Temple and walked the gardens of the greenish-red Heian Shrine. I visited Nijo Castle (an imperial villa really) built by the Tokugawa Shogunate. This place is impressive and the English audio tour provided great insights to the place and time. I visited Arashiyama (aka Storm Mountain) to see the famed bamboo grove and snow monkeys. 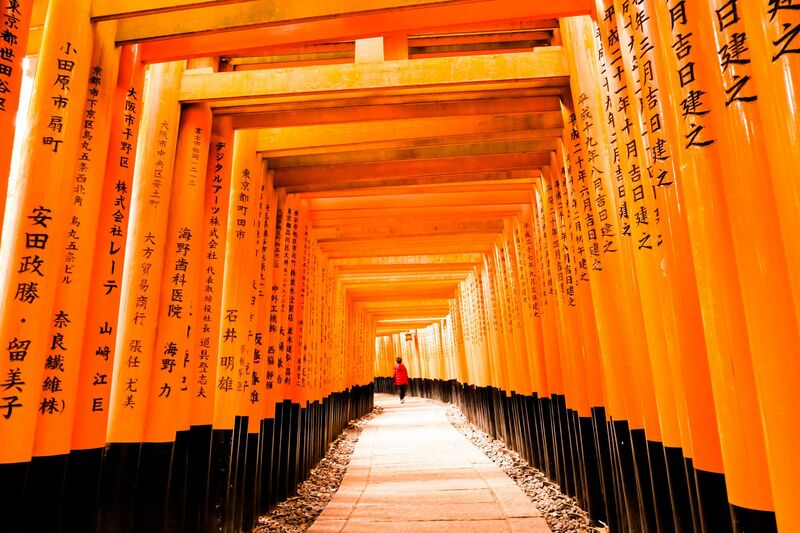 Finally, a most spectacular place to visit, a top must do in Kyoto according to TripAdvisor - is the Fushimi Inari-taisha Shrine. 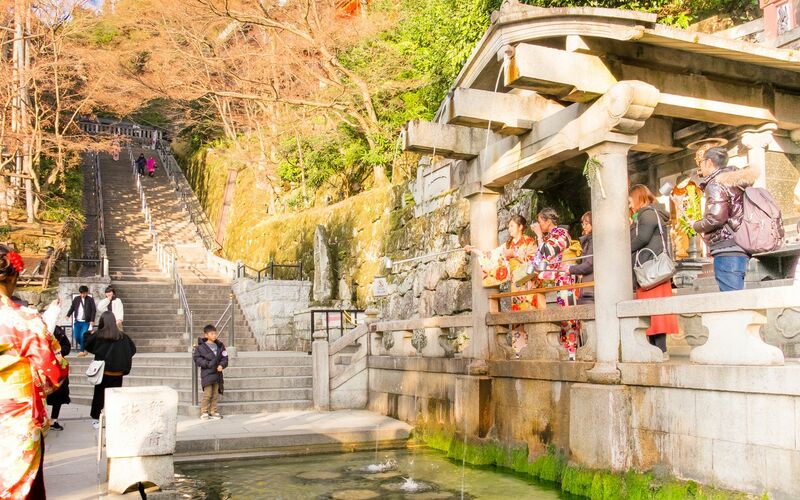 Best to start early (or late), there are plenty of tourists visiting this shrine. I stepped onto its spiritual grounds and walked through its many bright torii gates. There are allegedly ten thousand (10,000) torii gates here. I kept my eyes open for the messenger foxes of the Inari. What a truly surreal experience of a lifetime. I can't wait to go back to Kyoto.